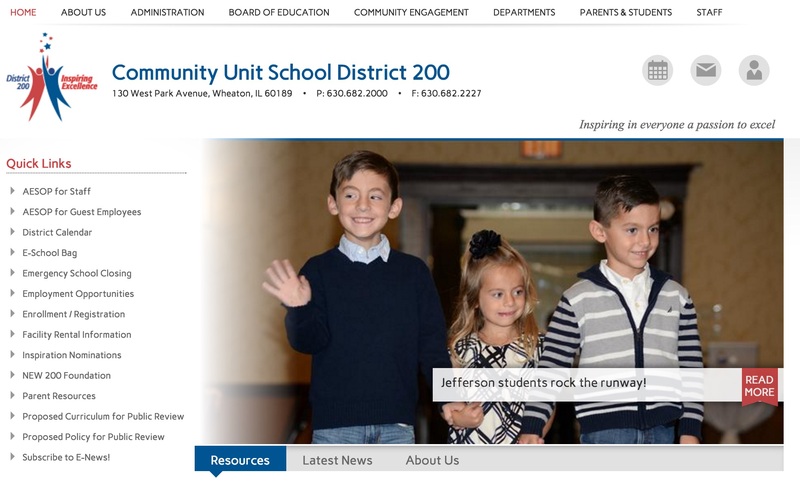 Wheaton’s Community Unit School District 200 has approved the third, $123,000 phase of a contract with architect Perkins + Will to continue its review about what infrastructure changes and improvements are needed to bring the schools into the next century. The probe’s objective is to pair the research with the district’s list of millions of dollars in facility needs including roofs, parking lots and HVAC systems, to ensure construction is coordinated with the future in mind. There was some dissension — with two votes against the five in favor — of hiring the architects to hold three community engagement sessions to integrate district residents into the planning process. “The board will have another vote in February 2016 to potentially hire the firm again to come up with a final plan for how to go about executing the proposal,” the website reported. Board vice-president Brad Paulsen said the repeated efforts to get public feedback on the project are “unique” and residents would have a chance to form the solution, not be told the solution. Board members Jim Mathieson and Jim Gambaiani voted against the measure. Mathieson said he wasn’t sure the money was worth the return and expressed concern about the number of engagement sessions. The pair also voted against hiring Perkins + Will in June. The sessions are scheduled for Dec. 2, Jan. 20 and Feb. 17.